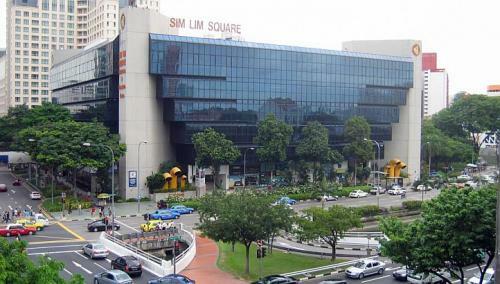 Everyone has heard of the dangers of shopping at Sim Lim Square at Singapore, but it is also THE place to get the widest range and most competitive electronic and computer accessories. For decades, I have shopped there and fortunately for me, I have never experienced any dishonest sales. I was looking for an Solid State Drive (SSD). For reader’s knowledge, SSD is like a memory card. Traditional computer runs of HDD (hard disk drive) that spins and stores data on magnetic plates. Due to physical limitations, there is a limit to how fast the HDD can transfer data. But SSD does not have mechanical parts, which means it uses less power and more importantly, it is VERY FAST. SSD has been in existence for several years but it is expensive per GB compared to HDD, and I had doubts about how fast it could go. After my recent purchase and upgrade, I AM CONVINCED. It is really fast and makes your computer run at its optimal speed. In a computer, the slowest hardware is actually the storage device. You can have a fast processor, a fast RAM, fast graphics card, but everything is dependent on a “slow” storage device. It was a procrastinated decision, but I eventually decided that my current usage does not warrant me to change to a brand new desktop. An upgrade to SSD should suffice and will improve my computing experience. After researching for SSD prices, I finally came landed in a shop in Sim Lim which I have never patronised before. Its Plextor M5Pro Extreme 128GB is possibly the lowest in the building (with cash payment), and it comes with valid local warranty. When the sales person passed me a unit, I noticed that the seal was broken, but he promptly replaced it with a sealed one. 2 weeks after the purchase and installing on my desktop, I am convinced that my laptop that has been running sluggishly despite less than 6 months old should also replace to an SSD. And since I only have one hard disk slot, I had to get a larger capacity. Having had a positive experience with my earlier purchase, I decided to go back to the same shop to purchase. The Plextor M5Pro Extreme 256GB price is a little more competitive among the retailers, and after a quick bargaining, the sales staff (a different one from the last one) agreed to transact at S$288 and he said he will give me the same price even when I pay by NETS (their practice is to charge 1% extra). When inspecting the package, I noticed that there was no seal unlike the 128GB packaging, so I opened it up, and found a seal inside the box, which means that the SSD is not tampered. However, I noticed that the 3.5-inch bracket is absent. After ascertaining from the printed package that the bracket should be included, I asked the sales staff, and he in turn asked a senior staff. Guess what’s next? He went to a cabinet and took out the bracket and nonchalantly inserted it back to the box. Wow. If I had not asked, then the shop would have gained a bracket which they could sell it off separately. That’s not all, the sales staff passed me the NETS machine for verification. I glanced at the amount and proceed to enter my PIN. After I left the shop, I rechecked the NETS receipt, and guess what? The sales staff keyed in the amount “$288.88”. They overcharged me 88 cents, which is 0.3% of the sale value. I could simply go back to the shop and request for a refund, but it would result in a minor hassle and potentially incurring further “mistakes”. I told myself that it is a small price to pay to see the true colours of this shop. My experience is a grey area – it could have been a genuine mistake on the NETS payment part. But I know the 3.5-inch bracket is a blatant con. So my advice to all is: be absolutely careful when you shop at Sim Lim. Even though it is possible to get great bargains, the shops will find all ways to recoup the razor-thin margin, that even veterans like myself fell victim due to my momentary carelessness.